Wash and clean the rice, In a deep bottom pan combine 1/2 litre milk and 3 cups water and transfer to the stove. When its starts boiling add rice. Reduce the flame to medium. Cook rice till done. Melt jaggery in a pan, strain the impurities. Pour this melted jaggerry to the cooked rice. Cook for 5-10 minutes. When its become dry Add 1 tbsp ghee. Cook for another 3-4 minutes. Add 1/2 litre milk to this. Boil for another 5 minutes. Add dried ginger powder, cardamom, Cumin seed powder to this, stir well. Add balance 1/2 litre milk to this. Cook for 1 more minute. Remove from fire. Heat ghee in another pan, fry cashew, kismis and coconut flakes. Add this to the cooked payasam. Serve hot. 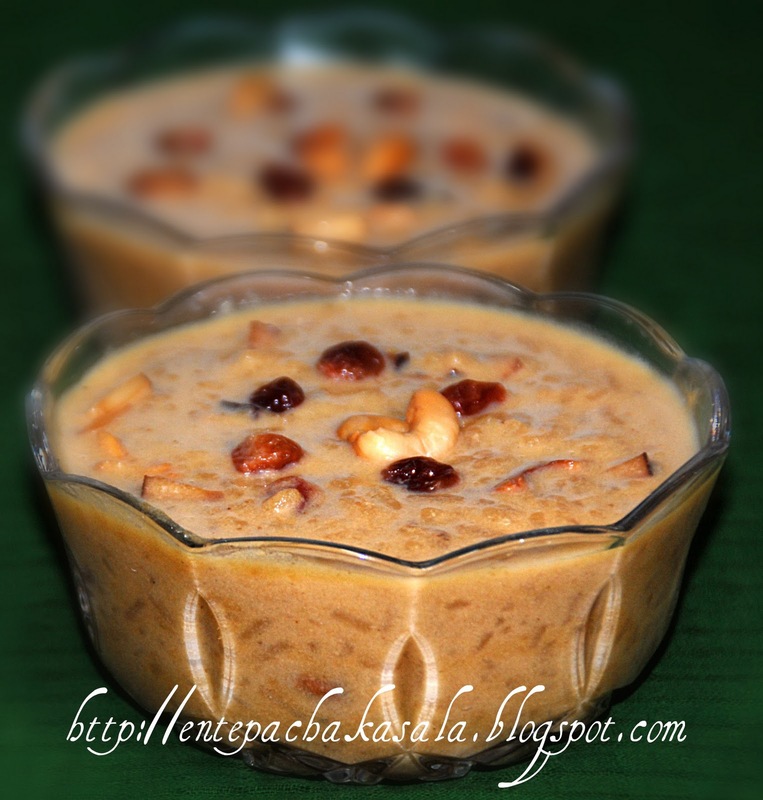 such a delish looking payasam..nice recipe dear! This payasam is really delicious,i don't get the pacharisi here,each and every time my mom send that from india:( bwn love ur header picture.luks awesome. wow!! 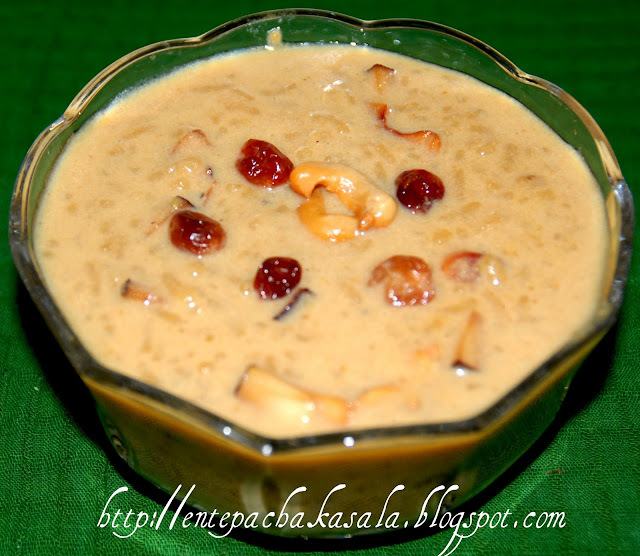 !super and delicious payasam!! !...nice click and presentation! Wonderful looking payasam, truly irresistible..
Adipoli Kidilan paysam. Taste cheyan kittiyal mathi. Marvellous and delicious looking dessert dear. Very well decorated. love this payasam looks awesome. I love it.you know of all the payasam this is my fav...my mummy used to make this on all imp occassions,esp wen i am at home.....she does it with the same above ingredients....love the flavour of chukku and fried coconut flakes...i dont have anyother payasam with so much enthusiasm i must admit. Loved the picture. Delicious sweet dish! Looks mouthwatering and nice clicks.